Become a Vendor - Website of hillsdalecountyfair! If you are interested in becoming a Vendor at the Hillsdale County Fair, your first step is to complete the Vendor Application Form and submit it. Applications are considered in order received and based on products you are interested in bringing. We will contact you if space becomes available. You are welcome to email or mail photos of your display. A typical Vendor Space is approximately 10 x 10 and the cost of the space starts at $275, depending on the available spot. 2.) Do you require an inside display set-up? If yes, size of space required. 3.) Do you require an outside set-up? 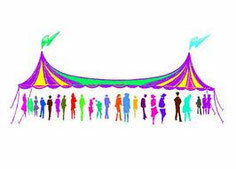 Do you require a tent rental? If yes, size of tent required. 4) Would you like to be on a waiting list? 5) Would you be able to attend on a short notice?